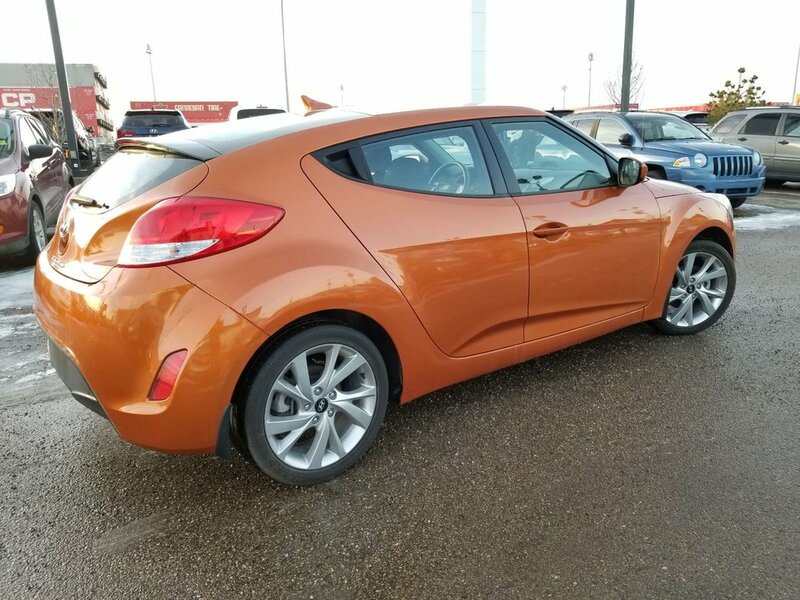 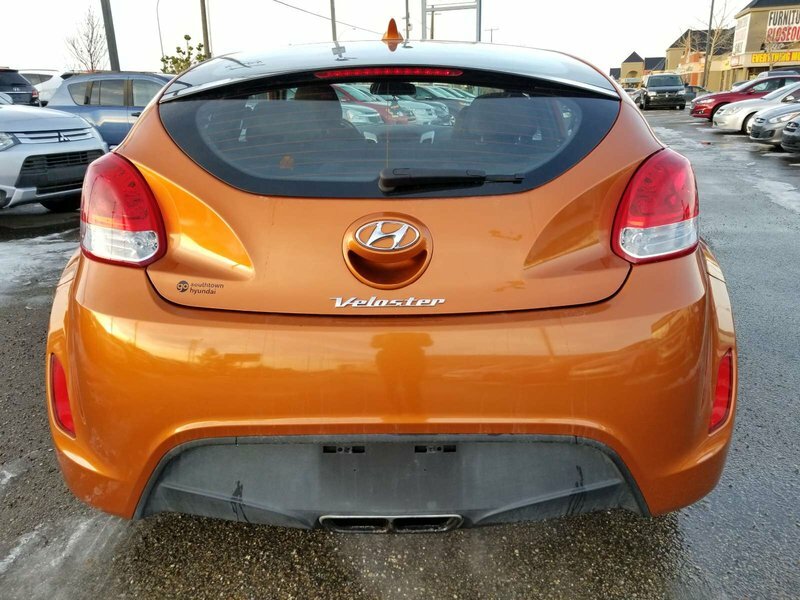 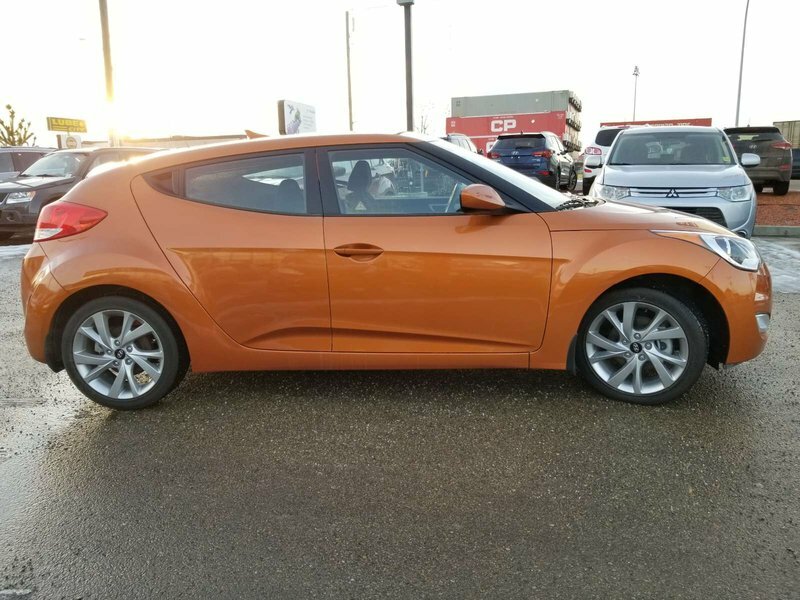 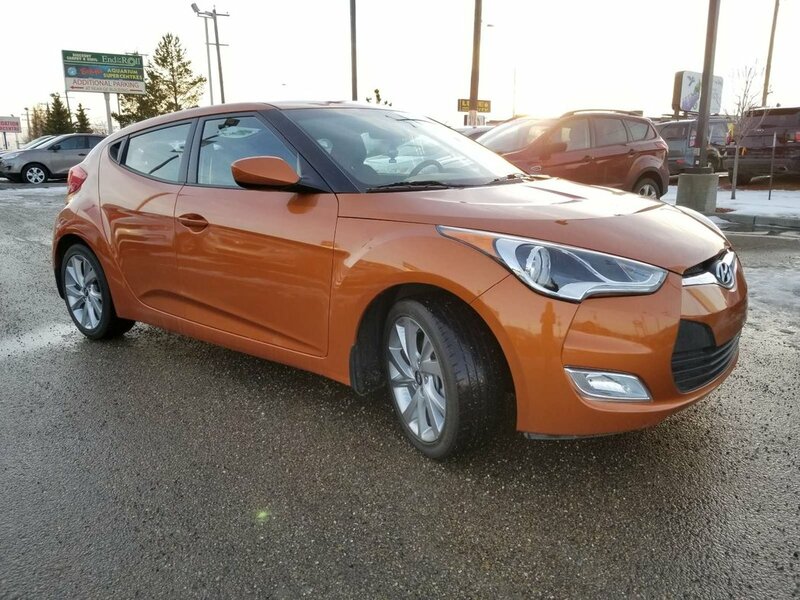 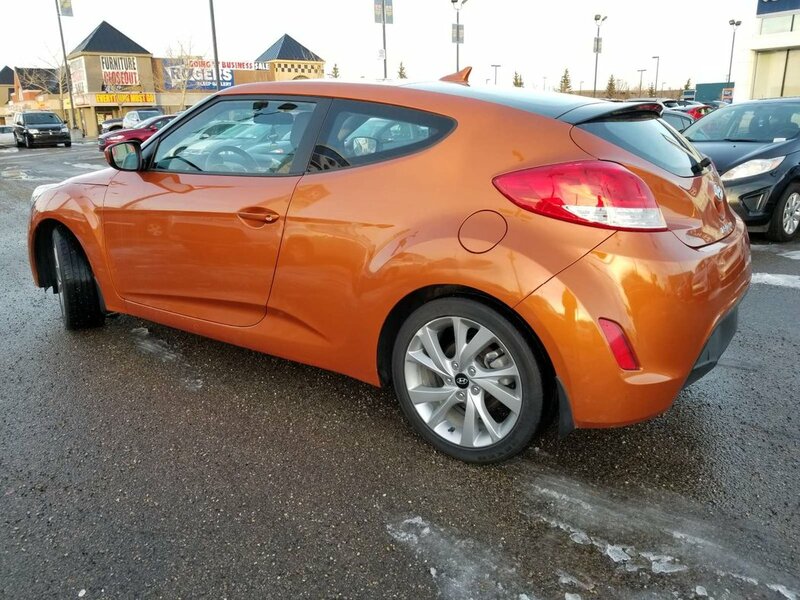 Make a powerful first impression in our 2016 Hyundai Veloster Coupe presented in eye-catching Vitamin C over Grey interior. 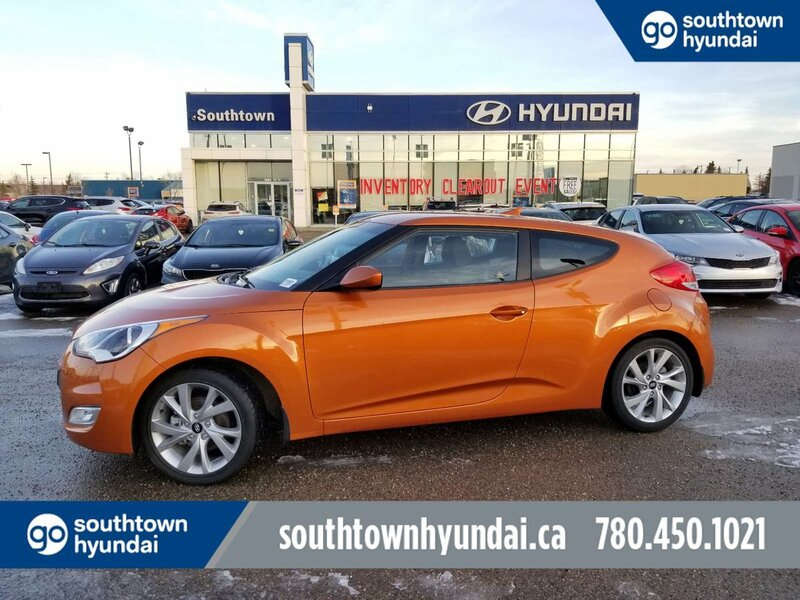 Motivated by a 1.6 Litre 4 Cylinder that offers 138hp tethered to a 6 Speed Manual transmission to offer impressive acceleration. 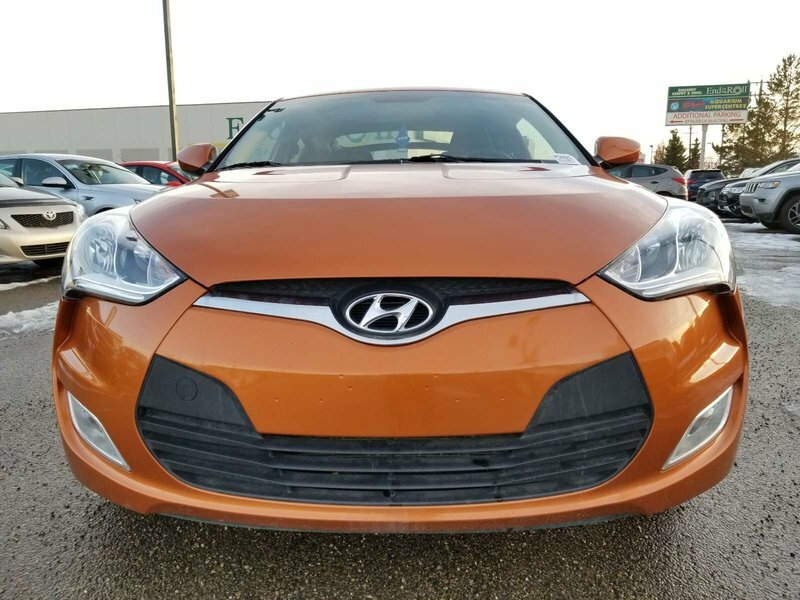 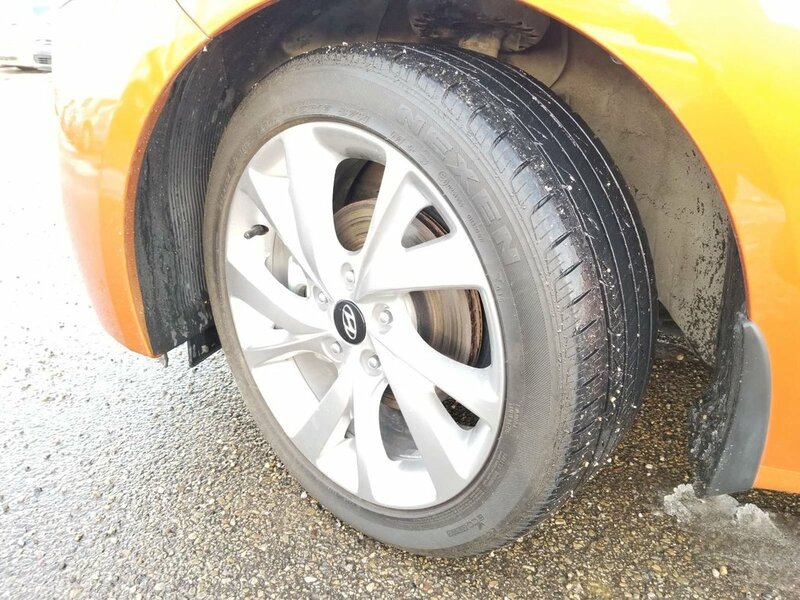 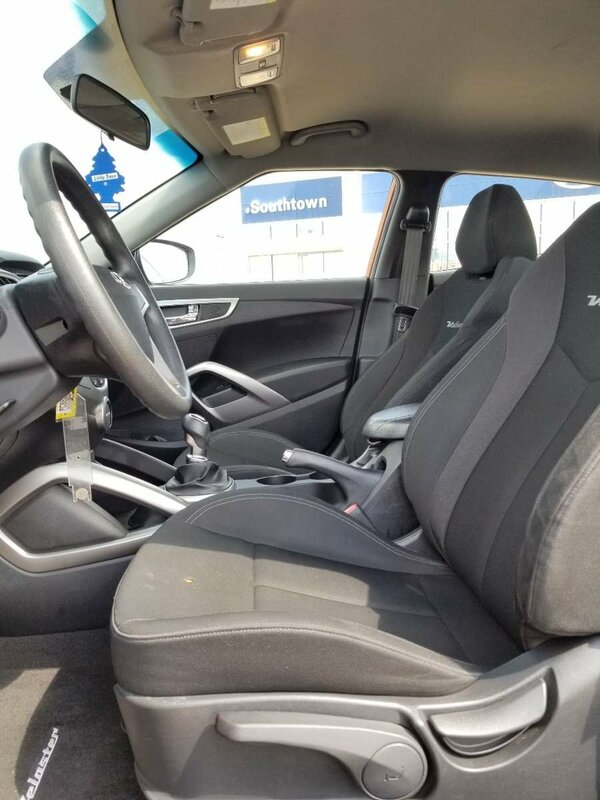 This Front Wheel Drive sports coupe offers over 6.7L/100km on the open road plus distinct style and personality that makes people take notice! 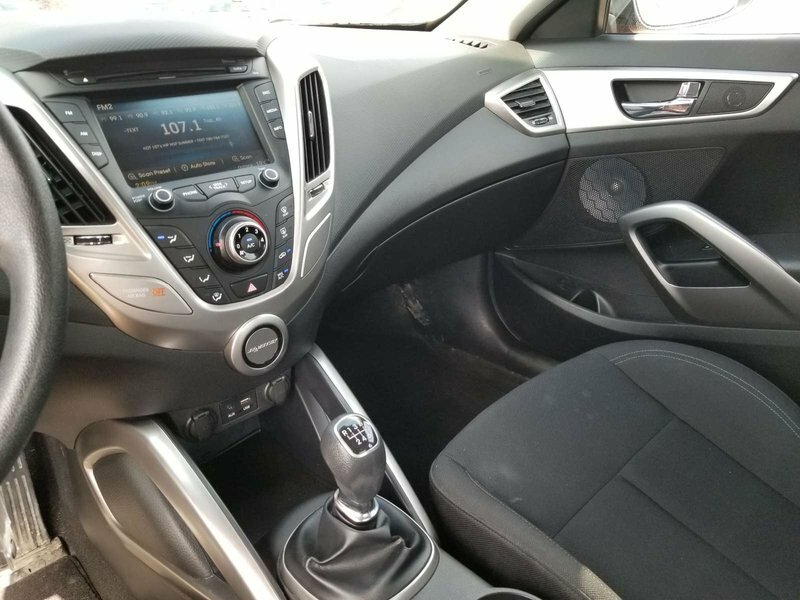 The athletic stance is enhanced with alloy wheels, a dual chrome center exhaust outlet and daytime running lights. 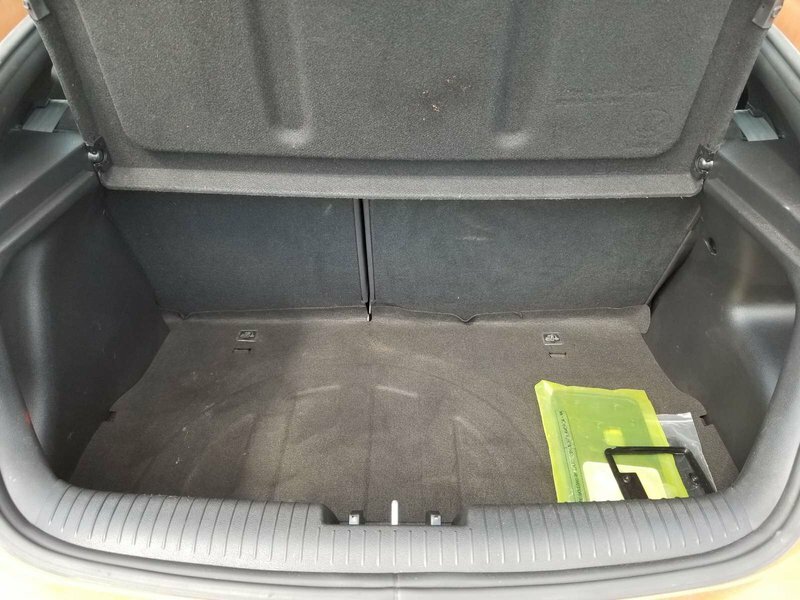 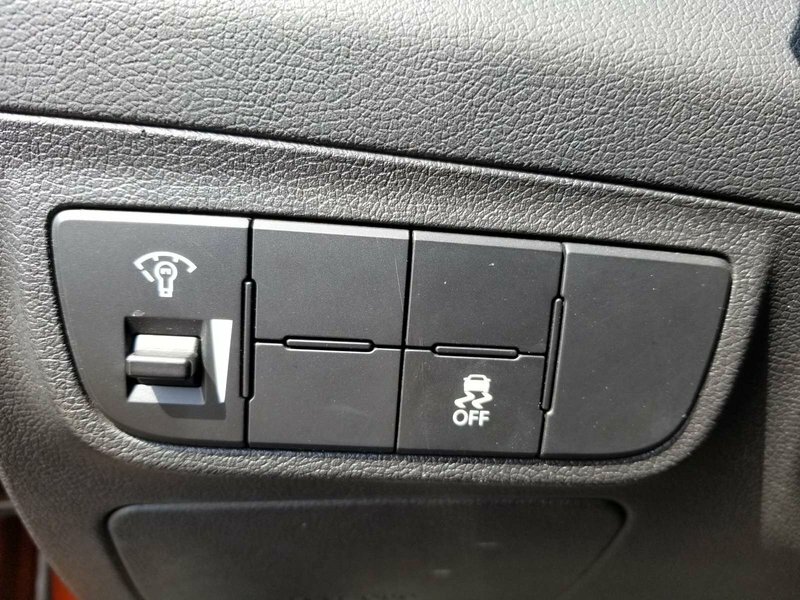 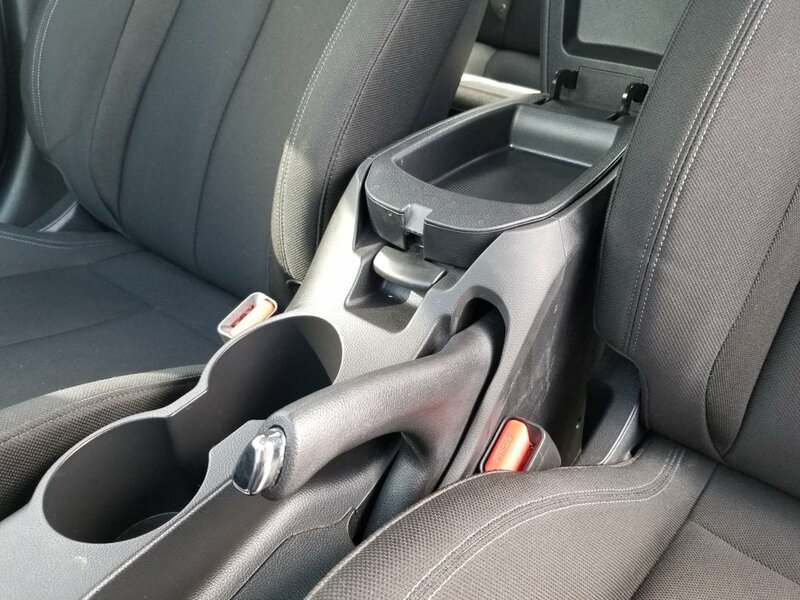 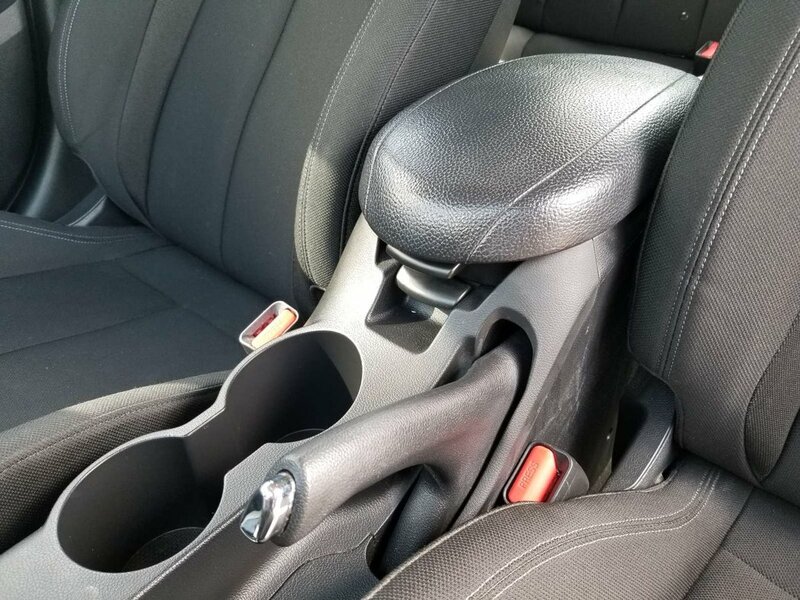 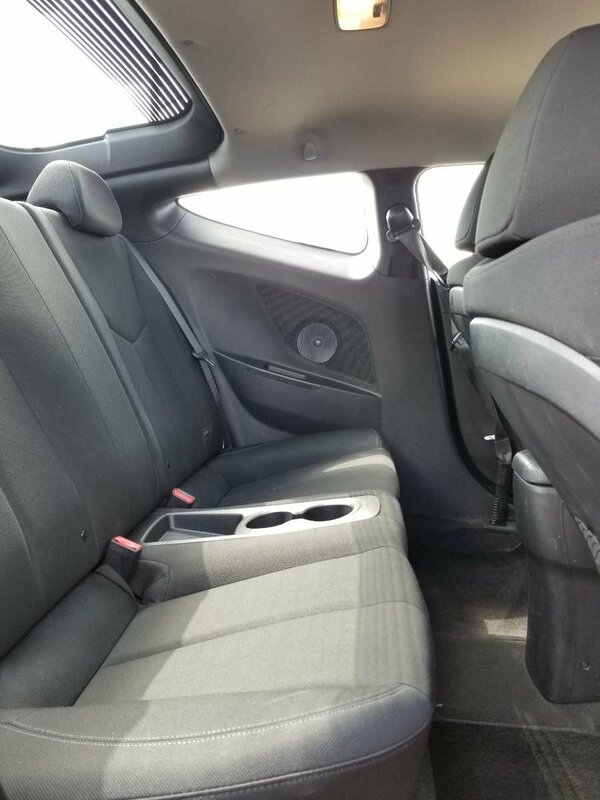 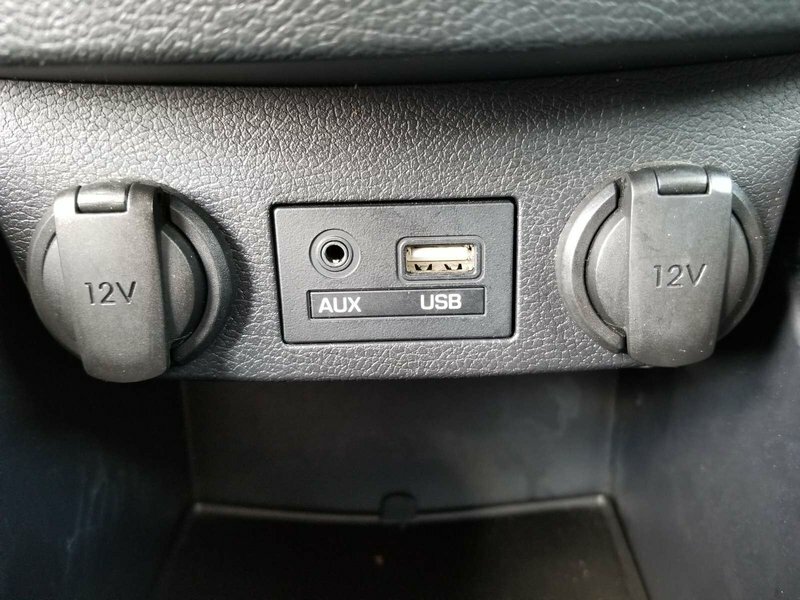 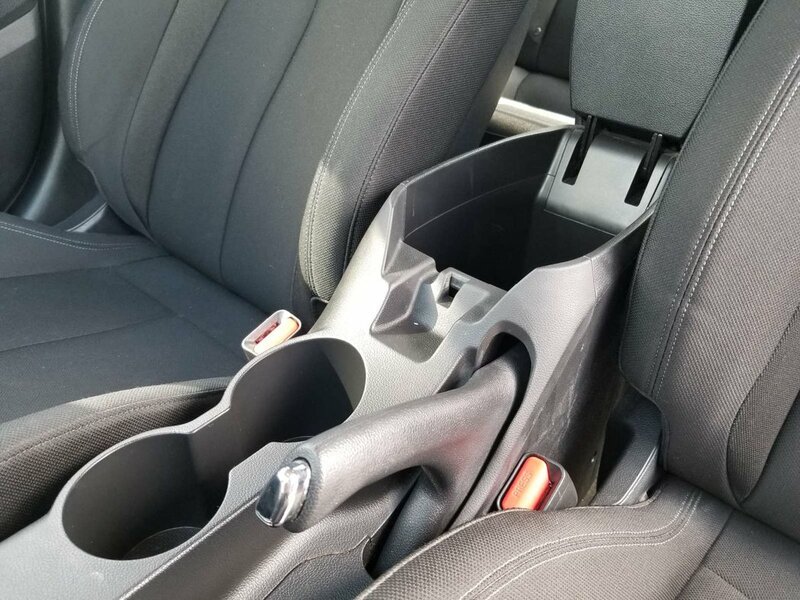 Step over to the passenger side and check out the hidden third door that makes access to the backseat a breeze. 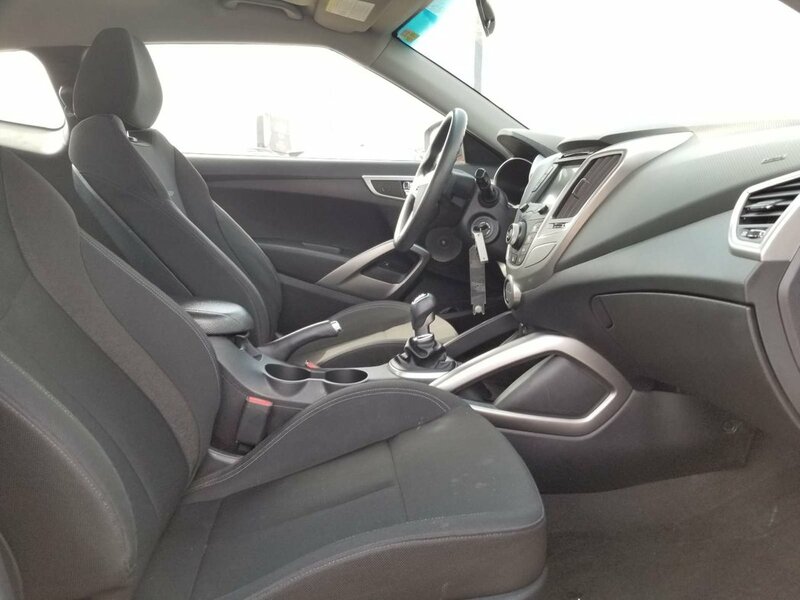 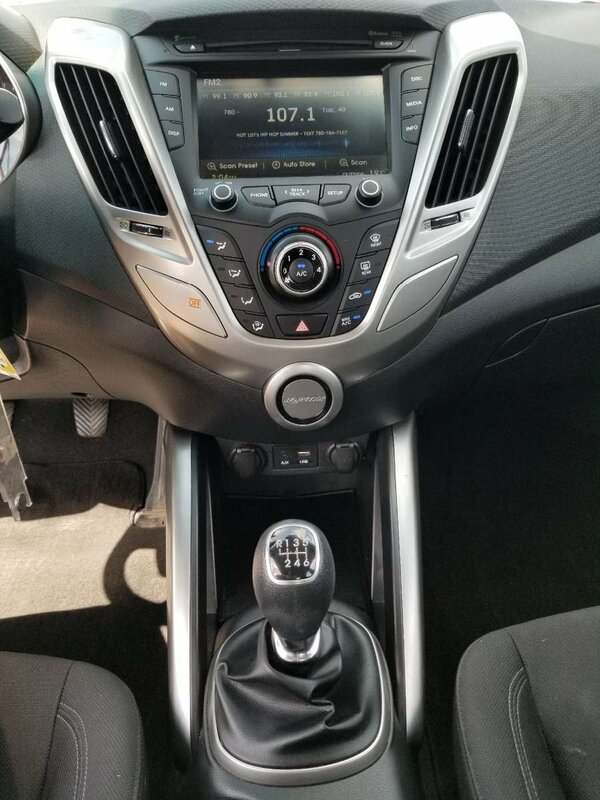 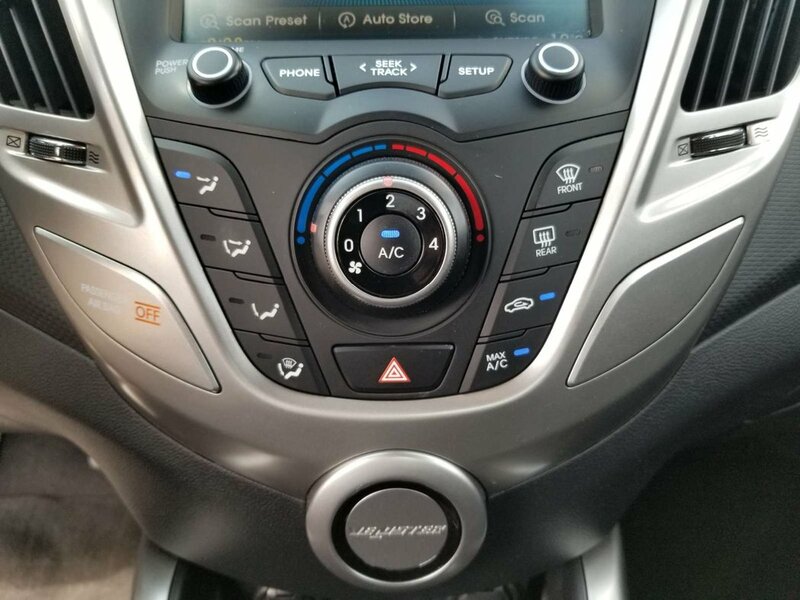 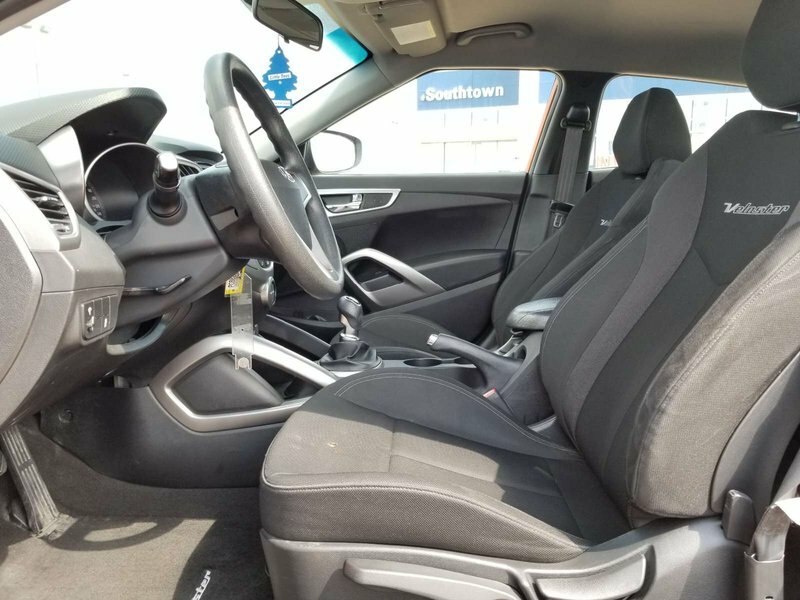 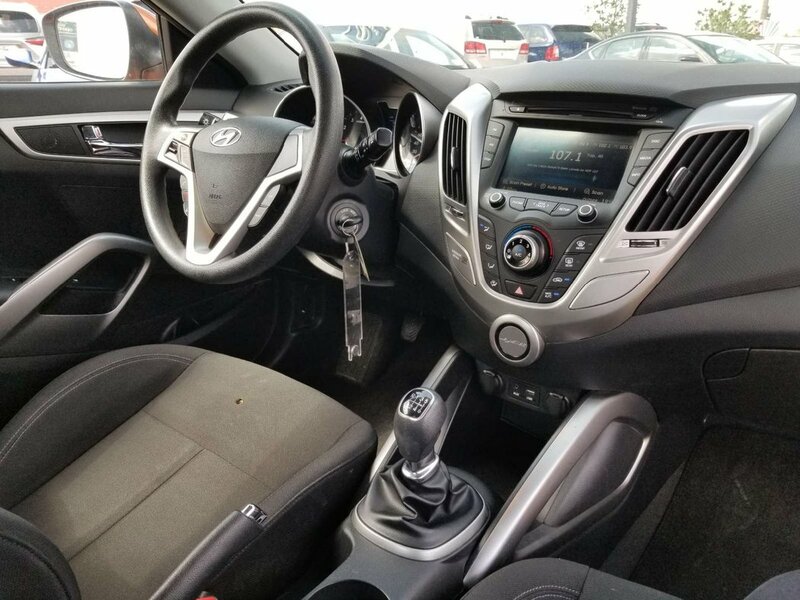 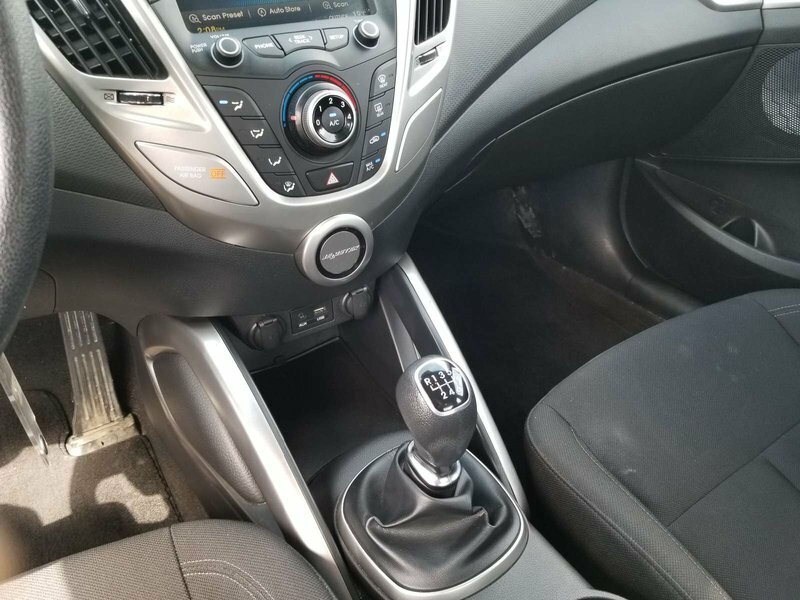 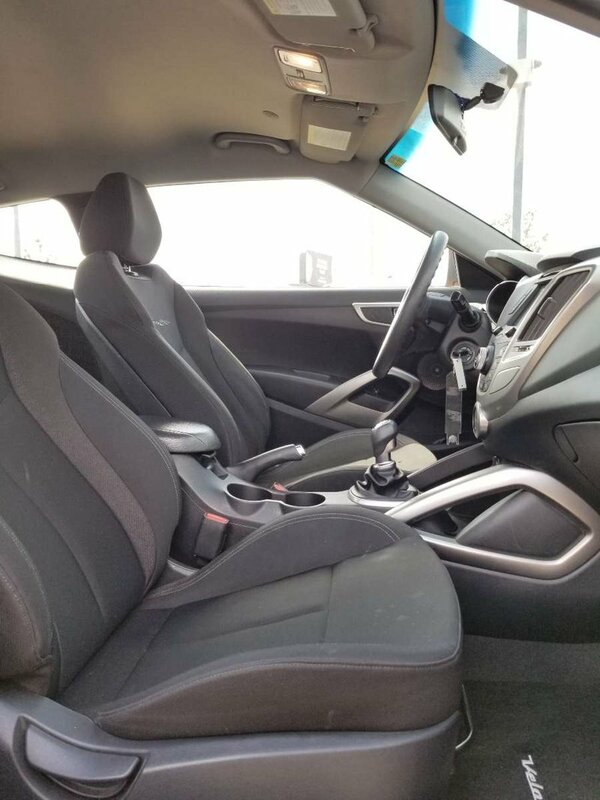 The 3-door design and glass rear hatch give the Veloster a roomy interior packed with features galore. 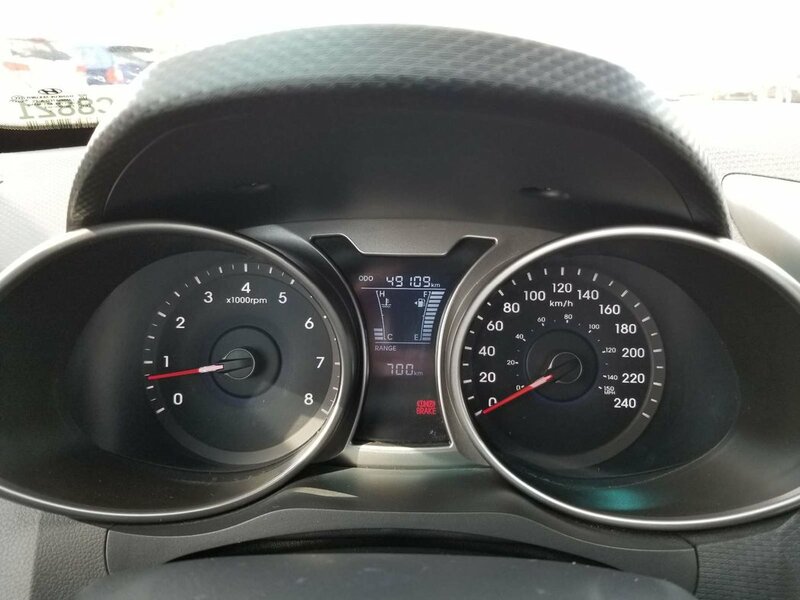 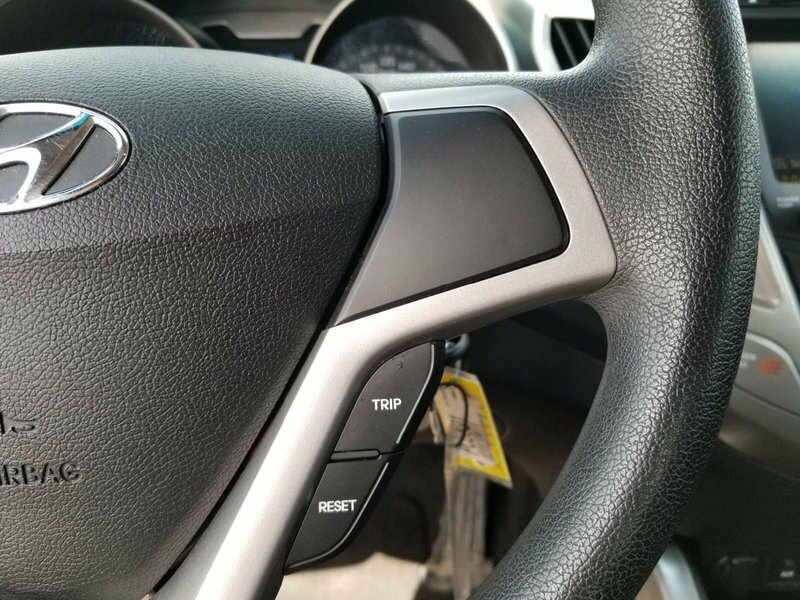 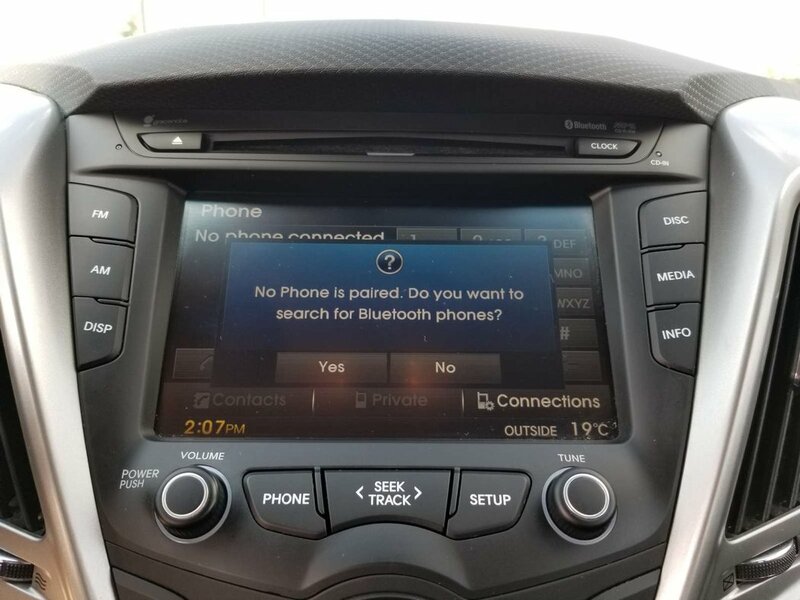 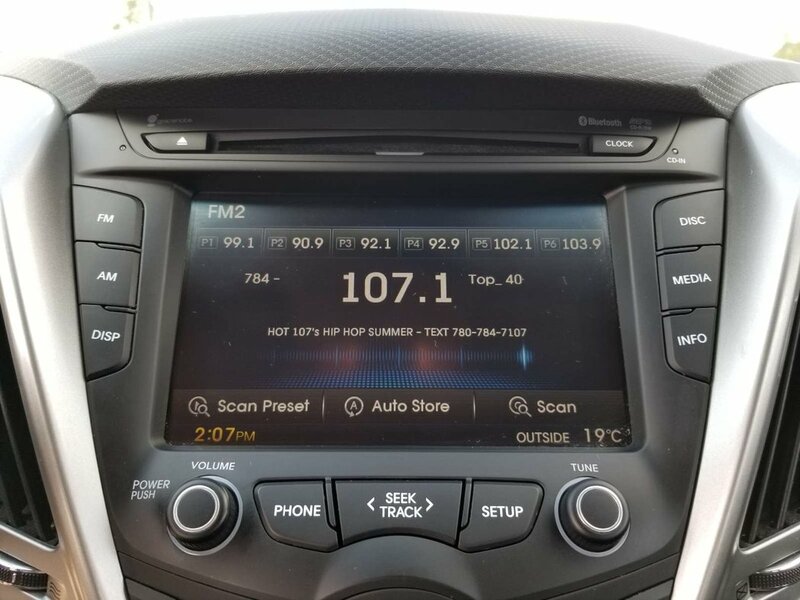 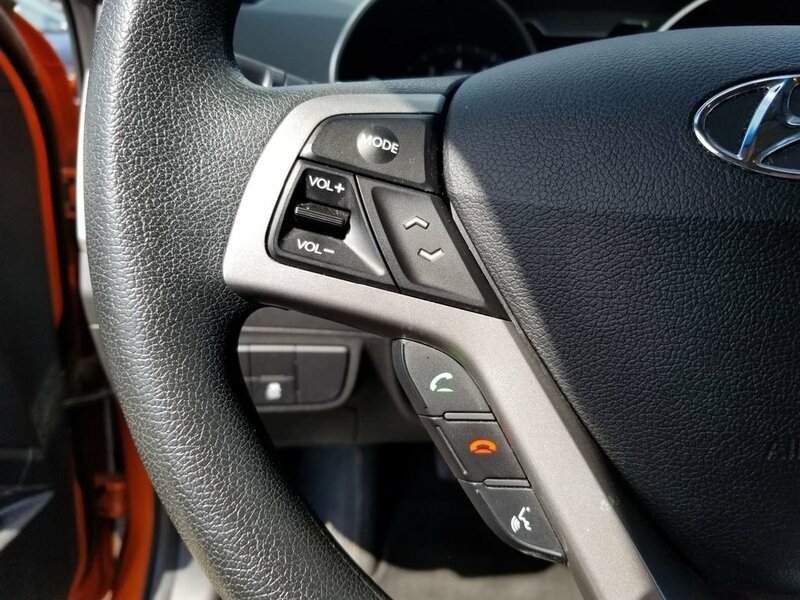 A 7-inch high-resolution LCD touchscreen with a rearview camera, integrated Bluetooth connectivity, as well as Hyundai's intuitive Blue Link telematics system mean you are always connected.